An investigation by members of the Manchester Township Police Department’s Narcotics Enforcement Team (N.E.T.) culminated in the search of a Weldon Road home and the arrests of two individuals on charges of maintaining a controlled dangerous substance facility, possession of and possession with intent to distribute marijuana and other drug related offenses on Thursday morning. During the early morning hours of September 21, 2017, officers from the department’s Narcotics Enforcement Team, with the assistance of members of the Ocean County Regional SWAT team executed a court authorized search warrant at a Weldon Road residence in the Holly Oaks section of the Township. The investigation began after the Narcotics Enforcement Team received information that an individual from the residence was growing marijuana at that location. Surveillance was established in the area and an investigation ultimately led to the receipt of a search warrant for the residence. During the search of the home and surrounding property, officers located 29, 5-6 foot marijuana plants growing in the backyard of the residence. Inside of the residence, officers recovered an additional 711 grams of marijuana, several pieces of paraphernalia associated with the preparation, packaging and distribution of marijuana, as well as a quantity of crack cocaine. Also recovered were numerous hypodermic syringes, a stun gun and a .22 caliber revolver. Arrested at the residence were 37-year-old, Michael Ponsiek, of Weldon Road and his 63-year-old father, Richard Ponsiek. At the culmination of the investigation, the younger Ponsiek was charged with one count each of Maintaining a CDS Manufacturing Facility, Possession of and Possession with Intent to Distribute Marijuana, Possession with Intent to Distribute Marijuana within 500 Feet of a Park, Possession of a Stun Gun, Possession of Drug Paraphernalia and Possession of Hypodermic Syringes. The elder Ponsiek was charged with one count each of Conspiracy to Commit Possession with Intent to Distribute Marijuana, Conspiracy to Commit Possession with Intent to Distribute Marijuana within 500 Feet of a Park, Conspiracy to Commit Possession of Marijuana over 50 grams and Possession of Prohibited Weapons. The investigation was led by the Manchester Police Department’s Narcotics Enforcement Team. 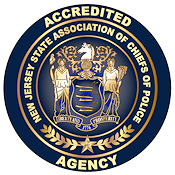 Assisting with this investigation were members of the Ocean County Regional SWAT team along with officers from both the Police Department’s Investigations and Patrol Bureaus and members of its K-9 unit. Also assisting were detectives from the Ocean County Prosecutor’s Office Financial Crimes Unit. Residents are reminded that drug related tips can be reported to the Manchester Police anonymously at 732-657-6111 or online via the Department’s website, www.manchesterpolicenj.com, by clicking the “Tip Line” link.